AQA (Assessment and Qualifications Alliance) is an Awarding Body in England, Wales and Northern Ireland. It compiles specifications and holds examinations in various subjects at GCSE, AS and A Level and offers vocational qualifications. AQA is a registered charity and independent of the Government. However, its qualifications and exam syllabi are regulated by the Government of the United Kingdom, which is the regulator for the public examinations system in England and Wales. AQA is one of five Awarding Bodies which are recognized by the regulators of the public exams systems for England, Wales and Northern Ireland to offer GCSE, AS and A Levels in the United Kingdom. AQA also offers the AQA Baccalaureate, a qualification also intended for students in Year 12 and 13. 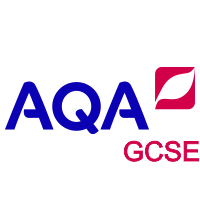 AQA is the largest examination board for GCSEs and GCE A Levels in England. The organisation has several regional offices, the largest being in London, Guildford and Manchester. The current Chief Executive Officer of AQA is Andrew Hall.